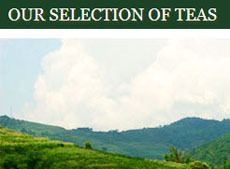 There are several varieties of Keemun (Qimen) teas, as we had detailed in our article here, with Mao Feng being one of the better quality versions. To many around the world, this is called “red tea” due to the color of the liquid, as you can see in the photo. But to Westerners and Europeans it is known as “black tea” based on the color of the dry leaves, shown in the white dish at right in the photo. In general, Keemun black teas are considered among the top 10 teas from China, as shown in our article here. You will want to steep it a shorter time that some other black teas. While strong Assams can take 5 minutes, this tea, which is meant to be sipped plain and not with milk or sweetener, should be steeped 3 minutes. You could steep as long as 4 minutes if you want a little stronger flavor. 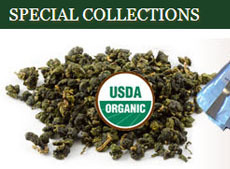 That flavor has an almost raw pu-erh quality but also has a slightly smoky character. You can usually get a minimum of 3 infusions from the same leaves, producing a drinkable liquid from each. We used a gaiwan for our steeping, but one of the beauties of this tea is how it tastes when steeped in a regular teapot (2 to 4 cups capacity). 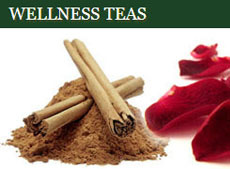 You will get a wonderful tea to have with a variety of foods, including meat dishes like meatloaf and steaks, eggs, strong hard cheeses such as Asiago, some spicy buffalo wings, pizza, and even desserts such as cheesecake or vanilla pudding. This tea and others are now available in sampler packs so you can give them a try without a big expense. 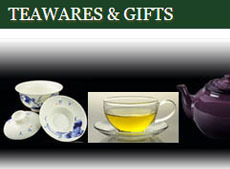 Shop for Keemun teas here. 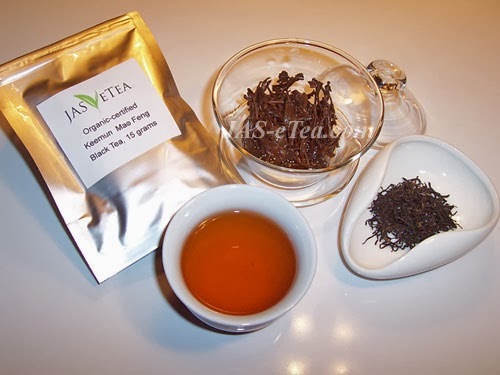 This entry was posted in Black Teas, China and tagged Black Teas, chinese tea, JAS-eTea, Keemun, red tea. Bookmark the permalink.